Dakshin, at the Sheraton New Delhi in Saket, prides itself in serving authentic flavours from Southern India’s rich culinary legacy. It is my favourite haunt for crisp appams with a soft and spongy center, flaky Malabar paranthas, spicy and tangy curries and fantastic seafood in the landlocked capital. 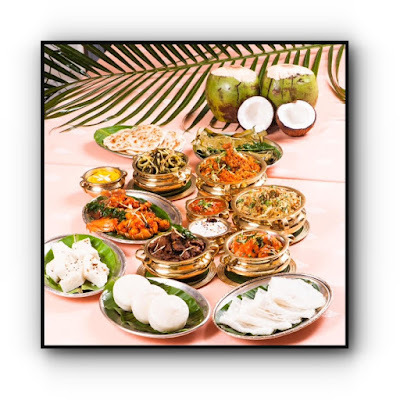 Showcasing delicacies from Andhra Pradesh, Tamil Nadu, Karnataka and Kerala, the menu offers a mouthwatering choice of vegetarian and non-vegetarian dishes. 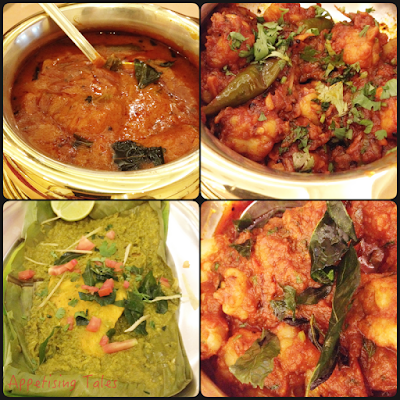 Dakshin thalis, with a choice of vegetarian, non-vegetarian and seafood options, are worth every penny. But I will write about the regular menu another time because this week there’s a special reason for you to visit the restaurant. 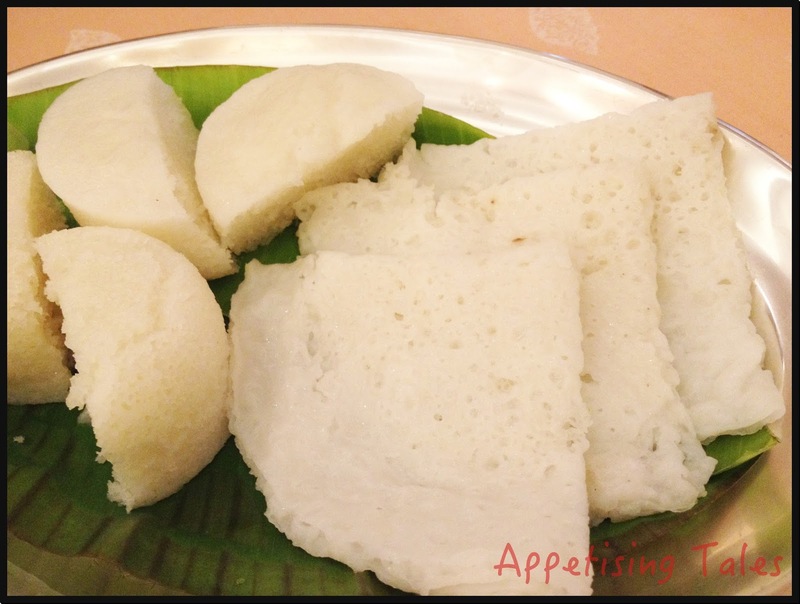 Special dishes for the Karavali Festival. Chef Vellu has curated an exceptional menu for the Karavali Festival, from 4th-13th June. The best thing about food festivals is that they make it possible for you to taste the flavours and dishes of distant regions while staying in your own city. ‘Karavali’ means coastal area in Kannada. So, in this festival you can savour dishes that are found often in homes in the coastal regions but rarely in a restaurant in North India. After sipping on the refreshing pan flavoured mocktail, I am almost happy for the slow start to my meal because it gives me time to whet my appetite with a range of chutneys and different types of poppadams. There are four types of chutneys – coconut, tomato, tamarind and ginger. I have never been able to choose a favourite amongst these since they are all so finger-licking good. I get a fiery vegetarian start with the Gobhi Kembu Bezule. It is crispy fried cauliflower tossed with chillies and an onion-based masala. It is spicier than it looks, so go for it only if you can handle the chilli, or you can inform the chef and he can make it milder. Later I realise that this is the only vegetarian dish I have in this meal, without any complaints though! 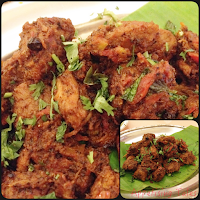 The Mamsam Pepper Masala is tender boneless lamb tossed in a spicy onion and tomato masala. It lives up to its name with a liberal dose of freshly ground pepper as well as whole peppercorns and is downright delicious. Then come the mains. But before I tell you about the dishes themselves, a word about the staples - I have already mentioned how good the appams and Malabar paranthas at Dakshin are. So this time I try the neer dosa and sannas. The former is a thin handkerchief pancake made from rice flour while the latter is a steamed, fluffy rice and coconut toddy cake. "Only skilled chefs can make the neer dosa," explains Chef adding that unlike the regular dosa this one has no lentils and is not fermented. Both these accompaniments are rice based and gluten free. I prefer having the neer dosa with the drier dishes while the sannas goes very well with curries. Being slightly sweet and spongy they soak in the spicy curries and complement them beautifully. The mains are a fishy delight! The subtle flavoured Manji Kolavaithina offers a delicious break from the spicy fare. This fish, wrapped in banana leaf and steam baked, is marinaded in a paste of green chillies, ginger and lemon. But since I can handle and savour spices, I indulge in the famous Goan Shrimp Balchao that has a slightly starchy texture and spices that are enhanced with malt vinegar. Lobster Puli Munchi or lobster meat cooked in a tangy chilli masala is semi dry, that goes very well with the neer dosa. And finally, Karavali Meen Gassi. According to the description in the menu it is an "all time favourite rawas fish curry from Mangalore", and I choose this as the dish of the day. The spice and tang is balanced perfectly and I enjoy dipping the sannas into it and savour it till the very last bite. After this satiating meal I have no desire for dessert but along comes the Ananas Kesari Bhat. This is fine semolina cooked with pineapple juice, cardamom and ghee. The taste of pineapple in this famous sweetdish transports me to the palm fringed shores of South India. And if you want to get there too, just head to Dakshin. 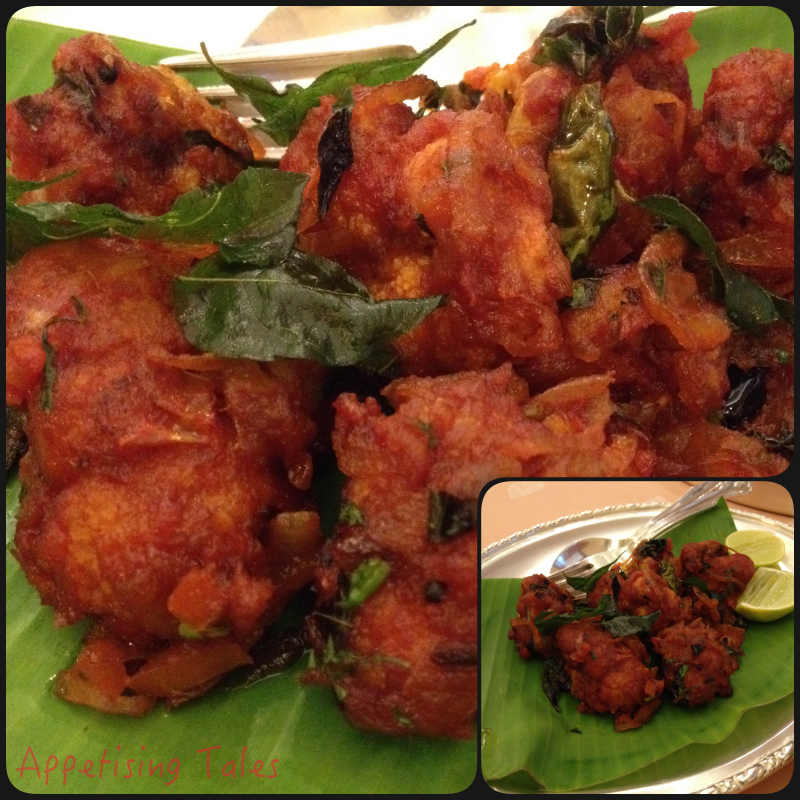 Dakshin, Sheraton New Delhi, District Centre Saket, New Delhi 110017. Prices Rs 3,000 plus taxes for a meal for two.